Gutter cleaning in Minneapolis, MN is perhaps the most beneficial, yet overlooked, exterior home maintenance service each year to the surprise of most homeowners! 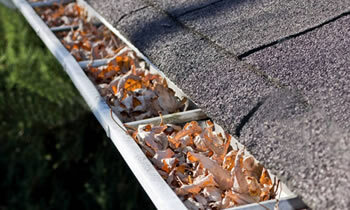 There are obvious reasons why it wouldn’t be a homeowner’s favorite way to spend their free time but without regular, thorough gutter cleaning Minneapolis, MN homes can suffer from an enormous variety of different problems which may affect everything from the home’s curbside appeal and property value to it’s comfort and even structural safety! All of these potential damages can be avoided, however simply by hiring our trained and detail-focused gutter cleaning Minneapolis, MN specialists! Through professional gutter cleaning services in Minneapolis, MN, homeowners can be confident in their home’s ability to efficiently dispose of excess water, preserving the property from damage to the landscape around the home, the foundation, vinyl siding Minneapolis, the roofing, and the gutter system itself, preventing ice dams from developing, and in extreme cases, even preventing catastrophic damage from roof collapses, gutter collapses, and major mold and mildew growths! All of these things considered, it’s plain to see just how important gutter cleaning in Minneapolis, MN can be to your home though it still may be difficult to find the time or motivation to perform the work on your own. That’s where our professionals here at FX Remodeling & Exteriors come in. By contacting the trained, affordable, and efficient FX Remodeling & Exteriors contractors who specialize in gutter cleaning in Minneapolis, MN you can save yourself a ton of time, stress, and money by not having to undergo expensive gutter repairs in Minneapolis, MN or other similar projects. Plus, if you contact us today you can schedule a completely free, comprehensive consultation and estimate for your home’s particular gutter cleaning in Minneapolis, MN!